Home » Why is a chimney sweep so important? Chimneys keep our houses warm. There’s nothing cozier and more relaxing than sitting in front of the fire. It’s extremely important to ensure your fireplace is safe as it can be. 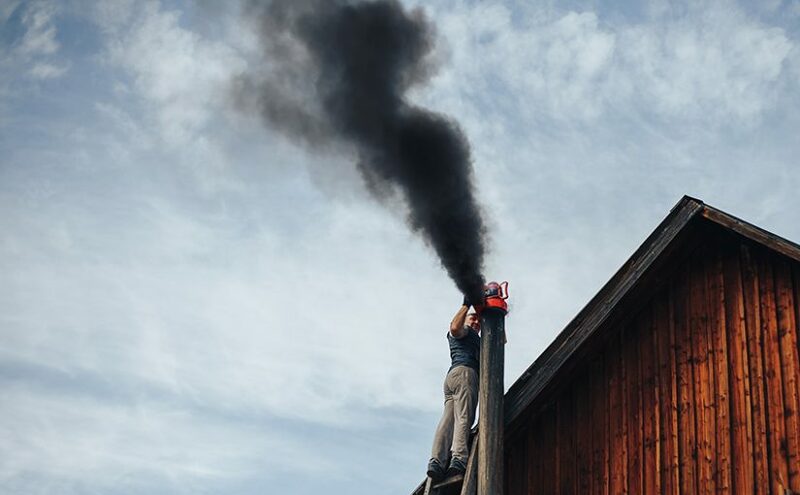 According to the National Fire Protection Association (NFPA), you need to get a chimney sweep and inspection at least once a year. This varies depending on the particular use you give to your chimney, so sometimes a chimney sweep is needed more than once a year. Your chimney is a significant ventilation system that allows smoke, toxins and dangerous fumes to escape the home. With a clean chimney, all these dangerous fumes can freely leave your house. With time, creosote appears in a dirty chimney. Creosote is a black, sticky residue that is left inside your chimney when wood is burned or when there isn’t enough ventilation. The problem with creosote is that it’s highly flammable, making it one of the main causes of chimney fires. Birds are known to sometimes place their nests inside chimneys, the dry twigs, leaves, and debris can spark a devastating fire quite easily. With better air circulation, you have a more efficient chimney at home. Sweeping your chimneys regularly can also prevent future damage that can be quite costly. Since soot accumulates around the flue, the grime prevents the flue from freely directing the smoke upwards. Subsequently, your furniture could be damaged by a layer of soot, and a black film could cover the hearth and around your chimney, staining it, making it almost impossible to remove. A Noble Sweep is a chimney services company with over 30 years of experience. Specialized in fireplace maintenance and cleaning, wood burning stoves, furnace flues, dryer vents, gas logs repair and installation, and more.